We can’t get enough of magnets in this house it seems! 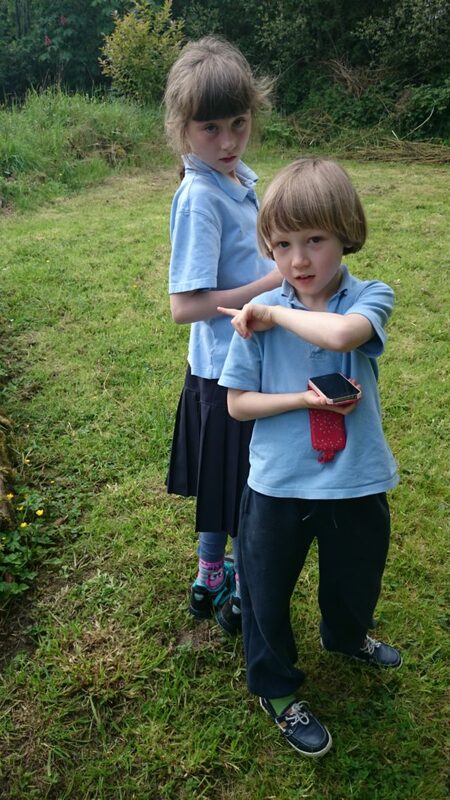 Last week we shared one of our favourite games and this week it is all about how the compass works, how to make one and another great game to try! The ancient Greeks knew about lodestone, an iron rich rock that was naturally magnetic. The Chinese are credited with discovering that loadstone would always point towards North if suspended to allow it turn freely. A Chinese Scientist called Shen Kua described the first magnetic needle compass in 1088 AD; his experiments with suspended strips of magnetised iron showed how the strip always points North and how this could be used in navigation. The arrival of the compass modernised navigation and travel, especially by sea. Before the compass, sailors relied on navigation by the stars but this was tricky on a cloudy night! Did you know… sailors were forbidden to eat onion or garlic as their breath was thought to interfere with the compass needle? You will need… a circle of paper, a needle, a magnet and a bowl of water. What to do… thread the needle through the circle of paper so that nearly all the needle lies on one side of the paper (see below). Stroke the needle 30 times in one direction with one end of a strong magnet. Lift the magnet between strokes. 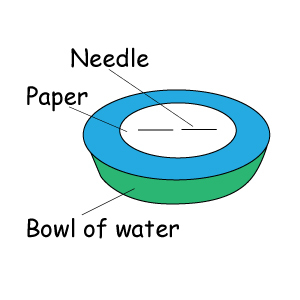 Float the circle of paper on top of the water in the bowl (needle side up). The paper should spin around slowly for a few moments and then stop. The needle should now be pointing North-South. You can confirm this with a compass if you wish! So what is happening? The needle contains little particles of iron that are all jumbled up. When the needle is stroked with the magnet it makes all the iron particles align in the same direction (North-South); the needle is temporarily magnetised! You will need…. 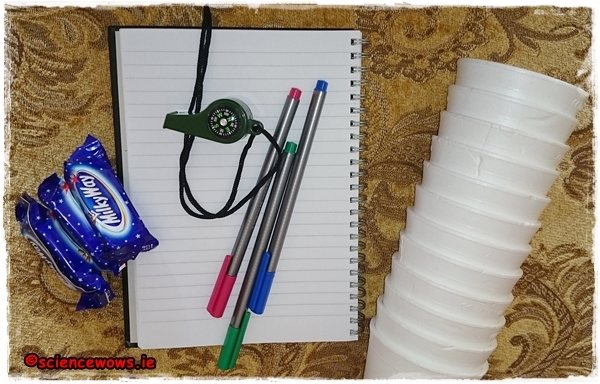 some non see through cups or bowls, some treats or treasure to find, a compass, a notepad and a pen. Setting it up… this is an easy game but it does require a little setting up before you let the children loose! Place the cups (upturned) all around the garden, hiding a treat underneath a few of them. One treat per child. Decide on a starting point. Map out a route for each child starting at that point and walking X steps North/South/East or West. You can make is as long and winding as you like. Remember to get an idea of each child’s step length before you start! Once you have prepared a route for each child you can call them out and let the fun begin. 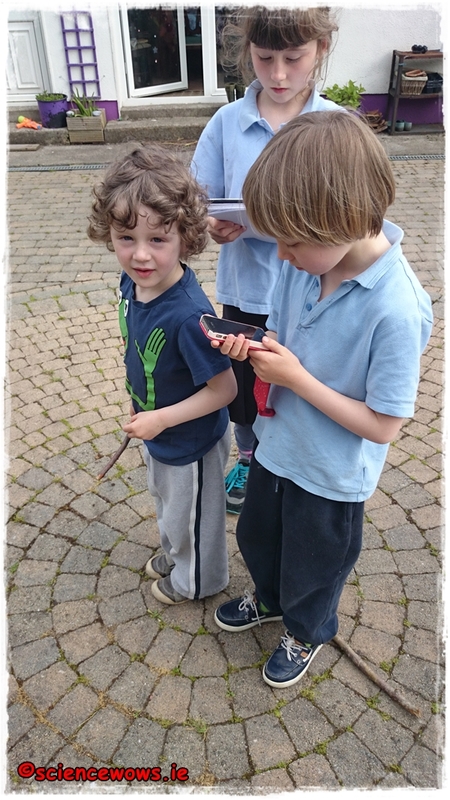 Each child starts at the same point and needs to follow the instructions given to them, using the compass for direction! Once the instructions run out the child lifts the nearest cup to (hopefully) reveal their prize. All ready at the starting point! This game is great for teaching children direction, learning how to follow instructions, read a compass and how to work as a team, if you change the rules to teams instead of individuals. The beauty of this game is that you can make it as simple or as complicated as you like, adjusting each set of instructions to a child’s age so children of different ages can get involved. My children are ten, eight and four and they really loved this, we have plans to make it bigger and better next time! Whatever way you play it I hope you enjoy! We love magnets in this house. Some rainy days my children like to take out my box of magnets and are happy to play away with them for hours. 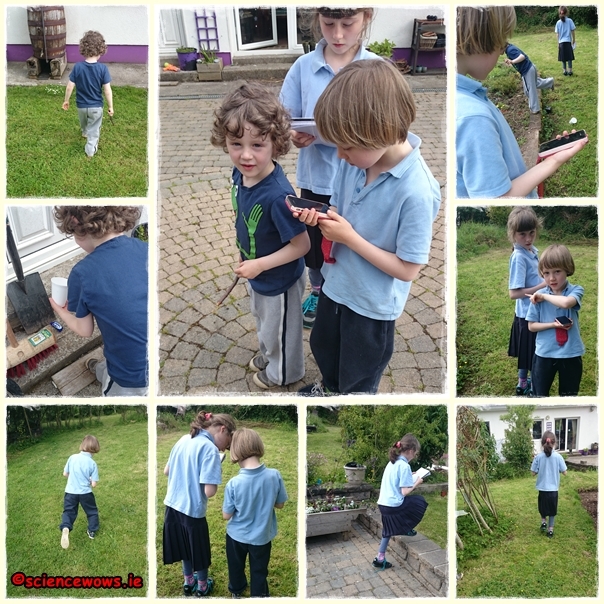 Recently I brought my magnet collection along to local Beavers Club for the children to explore and learn… and play some great magnet games. This game was a favourite so I thought I would share it with you! Before you start this game you might want to let the children explore how magnets work, how they attract or repel each other and how all magnets have two sides, a North and a South. Explain the invisible magnetic forces at play. Check out this post on magnets before you get started! 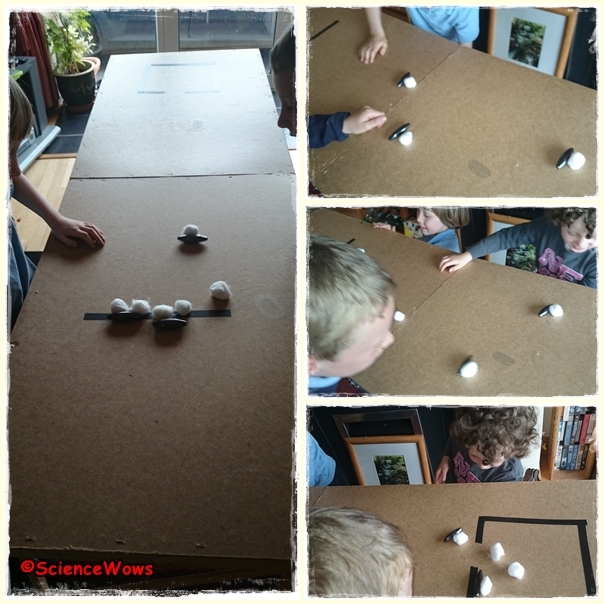 For this game you will need some magnets* (two per player), a table, some cotton balls and some duct tape or masking tape. *We used torpedo magnets for this but any magnets will do once they can attract each other through the table… so the choice of table is important. Wood is good, or plastic, but thin and without many/any crossbeams or bars underneath. We used a light chipboard wallpapering table. Using the tape mark a starting line at one end of the table and a box with a small opening at the other end; this is the “sheep’s pen”. 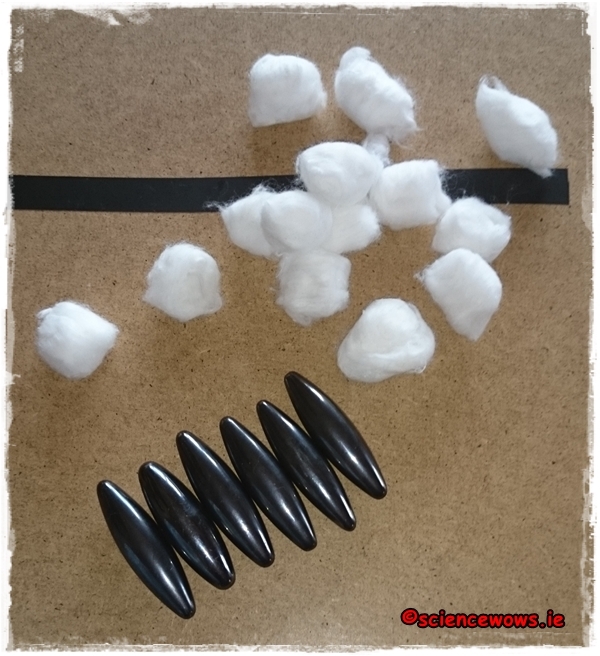 Place one magnet from each pair on top of the table and the other under the table… the magnet under the table should be held in place by it’s attraction to the magnet above. Each child is designated a pair of magnets, these represent the sheep dogs. Place the cotton balls (these are the sheep) behind the starting line. 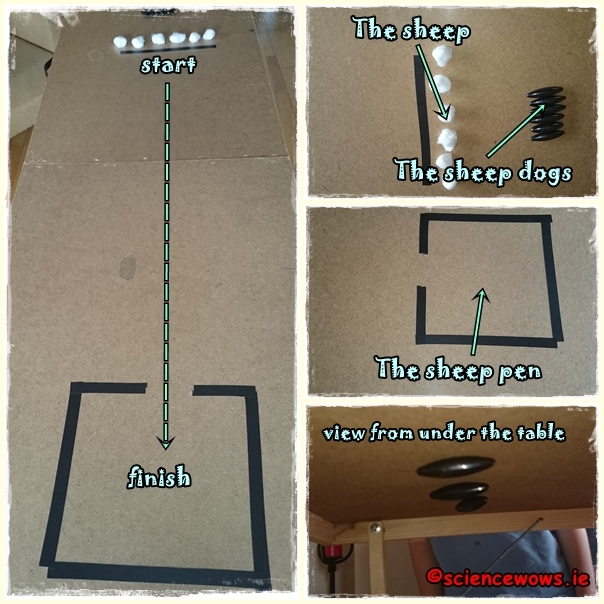 The aim of the game is that the children must “herd” the sheep along the table and into the “pen” at the other end. They can only move the “sheep dog” by moving the magnet under the table! The children keep going until all the sheep are transferred to the pen. You can use a timer for this game if you wish. Time how long each team takes or get a group of children to try again and see if they can beat their previous time. Ready-Steady-Go… let the fun begin! I have yet to meet a child (or adult) who does not get totally engrossed in this game! This game is great for children’s fine motor skills and coordination, it also teaches children to work as a team. Children learn about the attractive forces between magnets. You can follow on this game by asking the children if they think the magnets would still be attracted through other materials… paper, plastic, glass? Once the children get the idea of the game they will probably come up with their own modifications. What else could you try? Adding obstacles along the route? trying magnets of different shapes and strengths? Changing the number of sheep? What about replacing the top magnet with something metal? The only limit to this game is the child’s imagination… which is usually limitless! I hope you enjoy! What would you alter? If you come up with a different way to play this game please do let me know! Eh… which way is North? Next week we will share another favourite game and learn a little about compasses too, so see you next Friday for Part 2! A magnet is an object that can produce a magnetic force around it called a “magnetic field”. Magnets attract certain types of metals such as iron, nickel and cobalt. A magnetic field is not visible to the human eye, however iron filings can be used to show the pattern of a magnetic field. The magnetic field around all magnets is strongest at it‛s ends – these ends are called the Poles. One end is called the North Pole and the other is called the South Pole, just like the Earth. 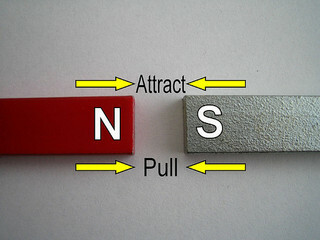 If you put the poles of two magnets together they will either pull together (attract) or push apart (repel); Different poles attract (North and South), similar poles repel! Did you know… small iron rocks on the Earth‛s surface are often natural magnets and these are called Lodestones. The Earth is one big magnet – it‛s magnetic field is created by the iron that is in the core of the Earth. The Earth‛s magnetic field is strongest at the North Pole and the South Pole. 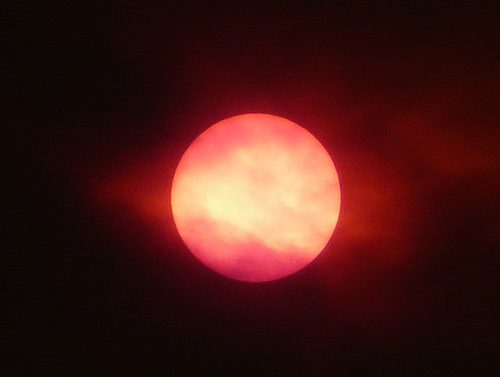 Did you know… many objects is space are magnetic including the Sun! 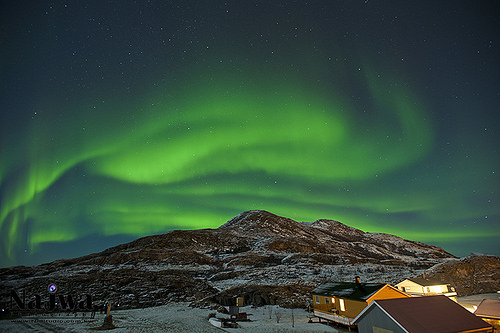 Did you know… the Earth‛s magnetic field deflects charged particles that come from the sun (Solar Wind) and this creates the wonderful lights called AURORA that can sometimes be seen in the sky. Magnetic compasses use the Earth‛s magnetic field to determine North, South East and West. An electromagnet is a magnet that is produced when an electric current is passed around a piece of iron. Unlike true magnets, electromagnets are only magnetic while the electric current is switched on! Did you know… the first person to notice that electric currents produce magnetism was a Danish scientist called Hans Christian Oersted, in 1820. 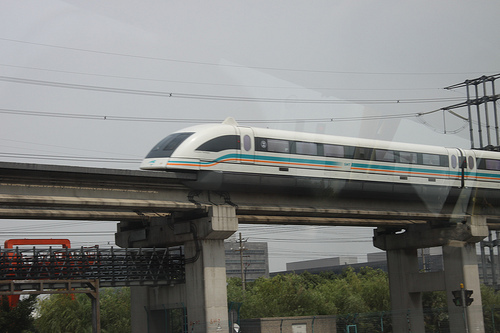 Some countries have started to use high speed trains called “MagLev” trains that are operated by powerful electromagnets. These wheel less trains float on magnetic tracks and can reach speeds of more than 500 km/h. What to do… wind the insulated wire tightly around the nail at least 30 times then ask an adult to strip back the insulation from both ends of the wire, exposing about 2 cm of the wire beneath. 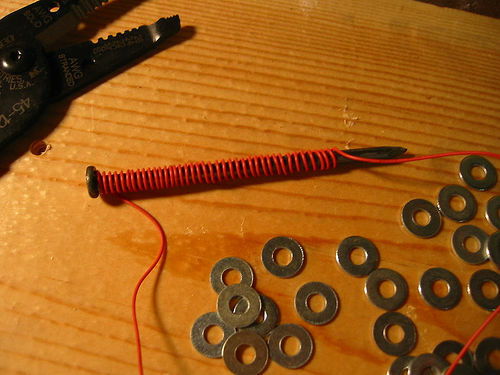 Using the blue tac stick one end of the wire to the + side of the battery and the other end to the – end. Now see if your electromagnet can pick up some paperclips. If you disconnect the batter the paperclips should fall!! So what is happening? When the wire is attached to the battery it creates an electric current that runs through the wire, temporarily magnetising the iron particles in the nail. When the battery is disconnected the nail no longer acts as a magnet! Hope you have fun with these this weekend! If you have a question or something to add please drop me a note in the comments below!